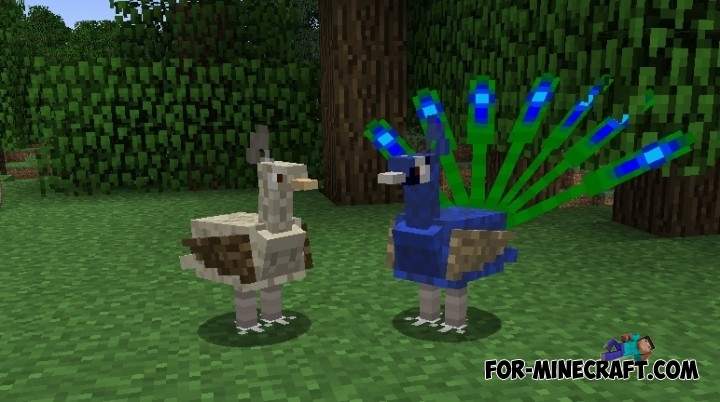 Exotic Birds - is a mod that adds new mobs in your game. 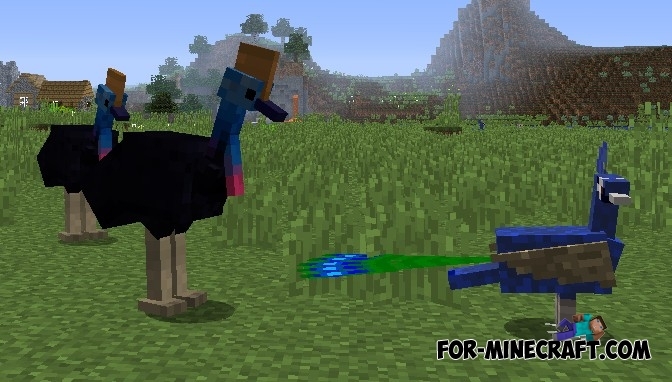 Mobs will be in the form of birds: ducks, roosters and many others. Birds are divided into good and neutral, some of them wild and they can attack you from the rear, so look at your side and always carry a weapon. You can tame some birds and then they will guard your buildings. There are species of birds that attack from the air, so the look and upward.